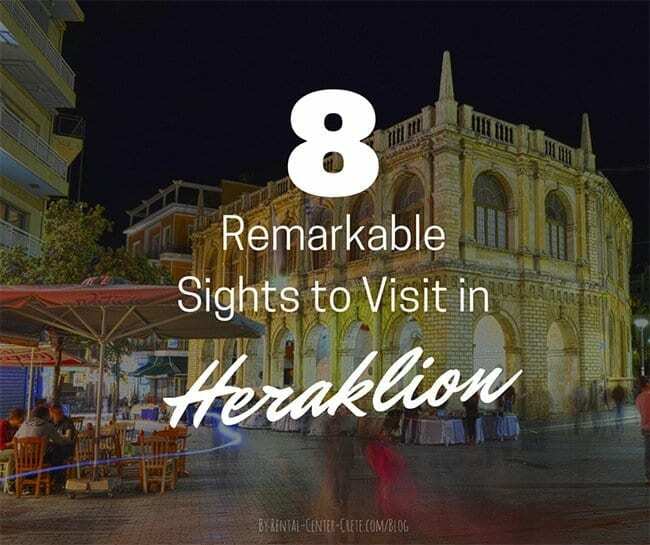 Although Heraklion has been destroyed and then rebuilt many times in the course of its history, it still has a good number of monuments and sights which are worth seeing. It consists of the Old Town, enclosed by the Venetian walls, and the New Town which has spread outside these. The walls form a triangle which has the sea as its base and the Martinengo Bastion as its apex. A tour of the city can take as its starting point the Venetian harbour, which is to the left of the large modern harbour. It was of great commercial value and a major naval base in the past (Venetian Period). Very interesting here is the Kastro, known as Koules fortress, at the entrance to the Venetian harbour. Koules Fortress, was built by the Venetians to protect the harbour from enemy attack. On its three side parts of the reliefs of the Lion of St Mark built into the walls have survived. Its interior was used for warehouses, a prison, and accommodation for the guards. The fortress is open to the public, while there is an open-air theatre on top of it. The Venetian walls are the most important monuments dating from this part of the city’s history. They were first built in the 15th century, with additions and improvements in the 16th and 17th. Their principle designer was one of the most distinguished military engineers of the 16th century, Michele Sammicheli from Verona. The total length of the triangular walls is three kilometres and they were protected by seven bastions, all of which have survived. Of its four gates, three can still be seen. 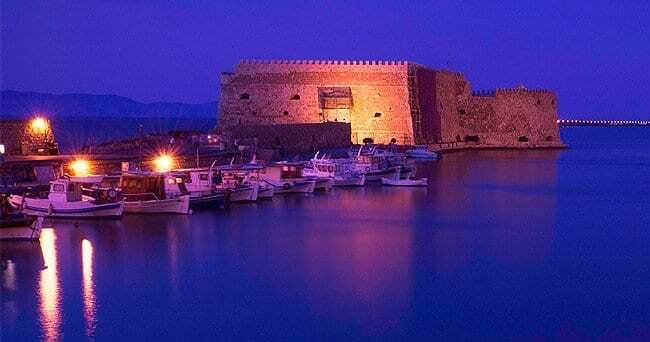 The Chania Gate on the western side of the walls dates from 1570. On its inner facade a medallion containing a relief bust of Christ as the “Ruler of All” with the inscription “Omnipotens” (“Almighty”) has been preserved. It is this which has given it its alternative name of the Gate of the “Pantokrator”. Pantokrator’s Gate now hosts art & crafts exhibitions all year round. On the outer facade there is the winged lion of St Mark in relief and above this another relief bust of the Pantokrator, with an inscription in Greek. This was the gate from which the whole of western Crete was reached. The other surviving gate is on the south side, The Jesus Gate or New Gate, dating from 1587. 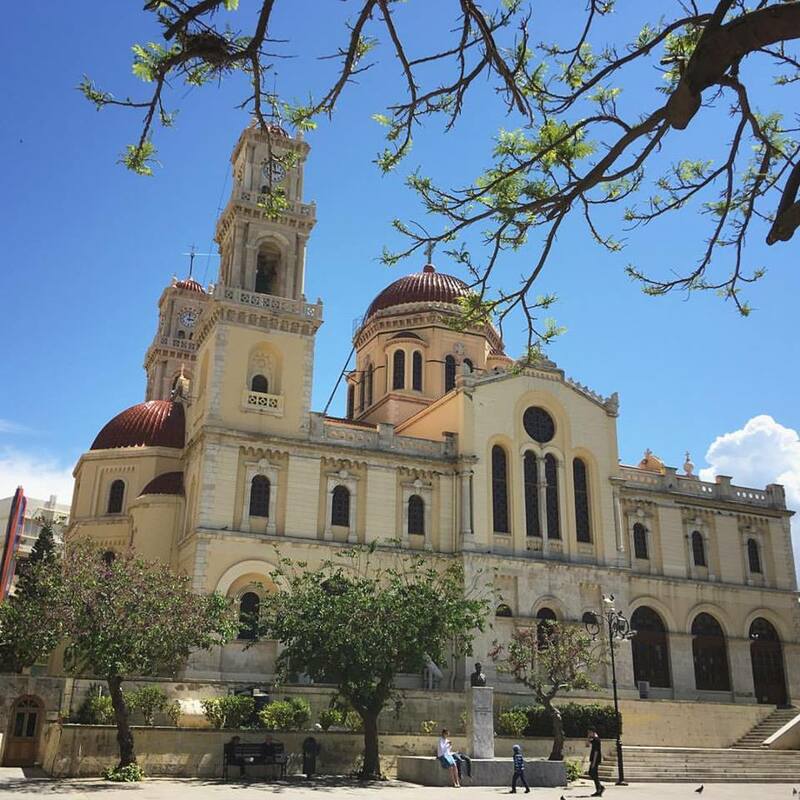 About midway along 25 August Str., which climbs from the harbour, is the square containing the Church of St Titus, the patron saint of Crete. Its architecture combines various Eastern and Western features, reflecting its troubled history. Here is preserved the head of St Titus, which was returned to the church in 1966 from Venice, where it was taken when Heraklion surrendered to the Turks. The Loggia at the end of the square is the restored Loggia of the Venetians, which houses the Town Hall. This rectangular two-storey building, the centre of the public life of the nobility under Venetian rule, was built in the early 16th century. The building which stands on the site today is a faithful reproduction of the old monument. The Basilica of St Mark stands in Venizelou Str. or Krinis Square, to which 25 August Str. leads. It was built in 1239 by the Venetians and dedicated to their patron saint. 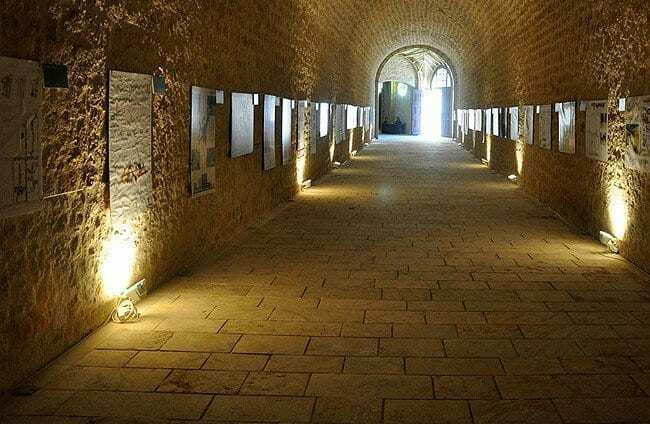 Today it is used as the premises of the Literary Society and houses a permanent collection of copies of Byzantine wall paintings from various churches in Crete. The Cathedral of St Minas, with fine carved wood decoration and 18th century icons, and the old Church of the Presentation of Christ. 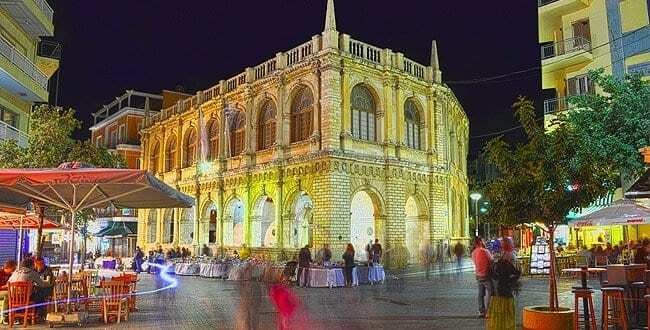 Other buildings of interest include the Vikelaian Library, which is housed in the “Aktarika” Municipal building, the Public Services Building – once the Turkish barracks and now the prefecture offices and low courts – and the picturesque Public Market. 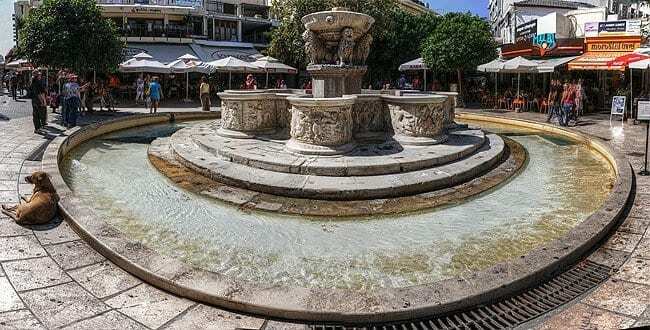 The city has kept fountains from the Venetian period: the Morosini Fountain in Venizelou Square, the Bembo Fountain in Kornarou Square, and the Priouli or Delimarkou Fountain in Delimarkou Str. , in the northern part of the city. Are you nervous about finding a parking spot in Heraklion? Are you a history aficionado? Read much more about the Odd History of Heraklion & Its Museums. Have fun!